Most of us enjoy a glass of wine with our dinner or a beer with our mates around the barbie, but how do we know when our social indulgence takes over our lives completely? We are told that red wine in moderation is beneficial to the heart, but moderation is the operative word. 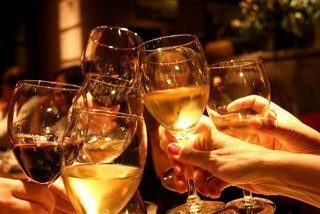 It is not how often we drink, because the French and Italians drink wine every day with their meals wishing each other health and the Germans and the Scandinavians skol their schnapps. It is not just how much we drink either, as we can occasionally have binges without becoming dependent on alcohol. But it is when we are not feeling so good when we’re not drinking, or when we start drinking before breakfast that we are entering into dependency. People say that alcoholism is not as socially unacceptable as drug addiction, but it is no less serious a problem. Coming off alcohol can be every bit as arduous as coming off drugs. This is marked by anxiety, tremors, sweating and mental confusion 1 to 3 days after the last drink. Many drink to cope, but are they coping with the drink? The drink has first to be recognised as a problem. As the Irish playwright Brendan Behan replied when interviewed on British television about his drink problem, “Drink is no problem to me at all. I just tip the glass back and enjoy!” But not many will enjoy the subsequent attack of gout or their worsening psoriasis or their gastric ulcers. Alcoholism is the fourth most serious public health menace, following heart disease, cancer and mental illness. The alcoholic’s life span is shortened by an average of 11 years and is curtailed by cirrhosis or cancer of the liver, oesophageal cancer, traffic accidents and inflammatory bowel disease. Alcohol is responsible for defects to the baby during pregnancy and domestic violence is very frequently alcohol-induced. The alcoholic is usually suffering from dehydration, fatigue, nutritional deficiencies and hypoglycaemia. Hypoglycaemia, or low blood sugar, creates nervousness and perceptual distortions, amongst them distortions of taste, hearing and personal awareness. A diet high in sugar and refined flour will induce a craving for alcohol by encouraging candida overgrowth and hypoglycaemia. By treating the candida, the craving for alcohol is often lessened. Vitamin B3 helps to prevent alcohol craving and vitamins C and B6 are also beneficial. Good sources of vitamin B3 are liver, wheat germ, eggs, fish and peanuts. Don’t drink alcohol when you’re thirsty. Have a glass of water instead and have an alcoholic drink to enjoy it, followed by another glass of water. Alcohol should always be accompanied by food, and this should contain wholegrains and vegetables, especially raw ones. The ravages of the hangover may be lessened with cooling and alkalising foods such as a glass of fresh vegetable juice, spirulina, mung bean sprouts, pears, spinach and grapefruit. Vitamin B12 and the herb St Mary’s Thistle also help combat hangovers. Sedative and anti-anxiety herbal treatments and particular naturopathic supplements for addiction and low blood sugar are supportive in getting the person off alcohol.